September is usually one of the most pleasant months of the year to be in Tuscany. It is a popula month for village festivals and weddings and it is the season of the grape harvest. 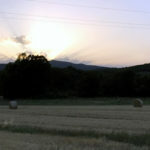 I have always wanted to write a post about what Tuscany is like at different times of the year. I get the question a lot from possible guests of our vacation rentals. So, I have decided this is my new “pet project” for the next 12 months, 1 month in Tuscany at a time! With a word of caution: every year things are slightly different and vary across Tuscany (no need to remind you that Tuscany is a big place, right? 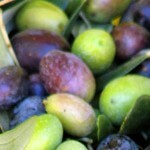 If so… please check my post about the various regions of Tuscany, thanks!). See all the posts in this series. 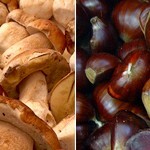 What is Tuscany like in September? September is usually one of the most pleasant months of the year to be in Tuscany. It is still warm, with summer-like weather, but not hot. This year (2011), we have had an exceptionally hot September, but this is highly unusual. Usually, the first half of the month is hotter than the second half. In early September, most people are still going to the beach regularly. It is warm enough that you can comfortably wear your summer clothes from dawn to dusk, and it is still great weather for dining outdoors and using swimming pools. In hilly areas like ours, you might already need a light, long-sleeve shirt in the mornings and evenings. Air-conditioning is not necessary anymore, because temperatures rarely go above 25°C and the humidity is low because of the cool September breeze. There is usually a real change in the air. The sky becomes clearer, the air crispy. The first late summer showers bring about that great smell of wet hay that announces that fall is just around the corner. By mid September, temperatures are usually lower, around 22-23°C. A light jacket might be necessary in the mornings and evenings. Sometimes the wind is quite cool. It is still pleasant enough to have dinner “al fresco” (but it is usually too cold for short sleeves at night), go to the beach and use swimming pools, at least during the warmest time of the day (between 11am and 4pm). The real change in the air happens at this point, both physically and metaphorically. It gets cooler, of course, and the mornings are characterized by beautiful misty views and pink dawns. Showers and storms become more frequent, but they are still occasional. School starts again and life goes back to its normal rhythms after the summer holidays (see the latest round of posts of the Italy Blogging Roundtable about going “back to school“). The positive side of this is that everything is open and thriving. The negative side is that, in cities, traffic goes back to evil. September is the time of the year when grapes are harvested. Well, when I was a kid my grandfather insisted that grapes should not be picked before October, but over the years the climate has changed so much that October is just too late now. 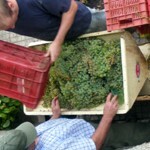 The large wine estates start picking at the end of August. My family harvests grapes in September. This is a good time of the year to go visit wineries. Remember to call ahead if you don’t join a wine tour, because it is a very busy time of the year and some wineries might not accept unexpected visitors. 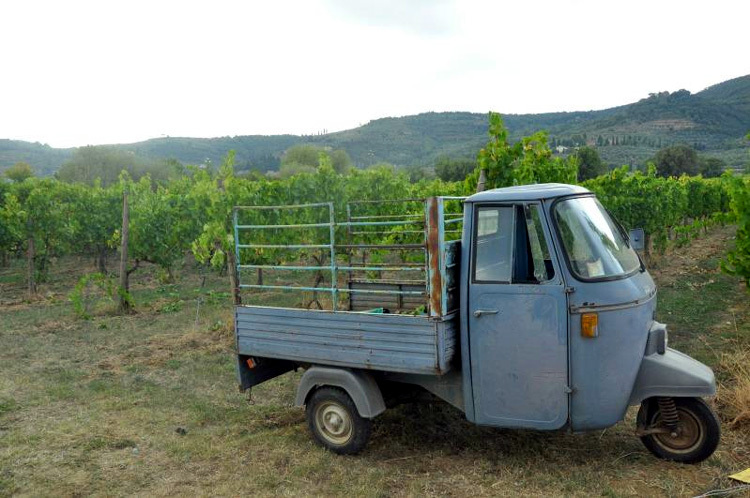 (Here is a link to a nice Wine Tour in Maremma. We went in August, but you can get an idea of places to go to in the area. 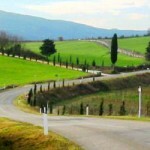 And for more information on wine trails in our area, check this page about the wines of Tuscany). If you decide to stick to cities, you won’t “feel” the grape harvest much. But if you go to any village in the countryside of Tuscany, you can really feel it in the air… or rather… smell it! Everybody has a little patch of land with a few vines, and you will see plenty of people unloading crates of grapes in front of their cellars in the village, washing the machine you use to press grapes, etc. The smell of must is intoxicating! Many people ask whether it is possible to participate in the grape harvest. Unfortunately, by law, only contracted and insured workers can work in the fields, so it likely won’t be possible to actively participate in the grape harvest. However, if you participate in a wine tour, wineries might let you pick a few grapes just to let you experience how it’s done. It depends on the wine estate and how flexible they are. Nowadays you find all kind of fruit and vegetables all year round. In Italy however, we still tend to stick to what is in season, and believe me seasonal fruit and vegetables taste so much better! So, if you happen to be in Tuscany in September, you can still find the last peaches and plums of the season, although they are not very good, but most importantly you can eat grapes and figs, which are in full swing in September. 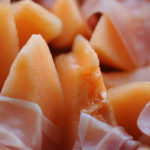 The first pears and apples are available, but they are not commonly grown in Tuscany, especially apples. The vegetable garden still offers decent tomatoes, carrots, green beans, egg plants, new potatoes, and bell peppers. The first fennels, leeks, broccoli, pumpkins, Brussel sprouts, cabbages of different types and cauliflowers usually make their appearance in mid to late September. Last but not least, mushrooms could be available if the weather is right and truffles are in season! You might be able to taste fresh game meat: September is the month when the hunting season starts. Only certain birds can be hunted, and the most appreciated of all, the pheasant, can be hunted only after the third Sunday of September. If you go for a walk in the woods, make sure to wear something in bright colours. September is a popular month for village festivals, so if you want to experience joining in the celebrations this is a good month. They are usually festivals dedicated to seasonal products. 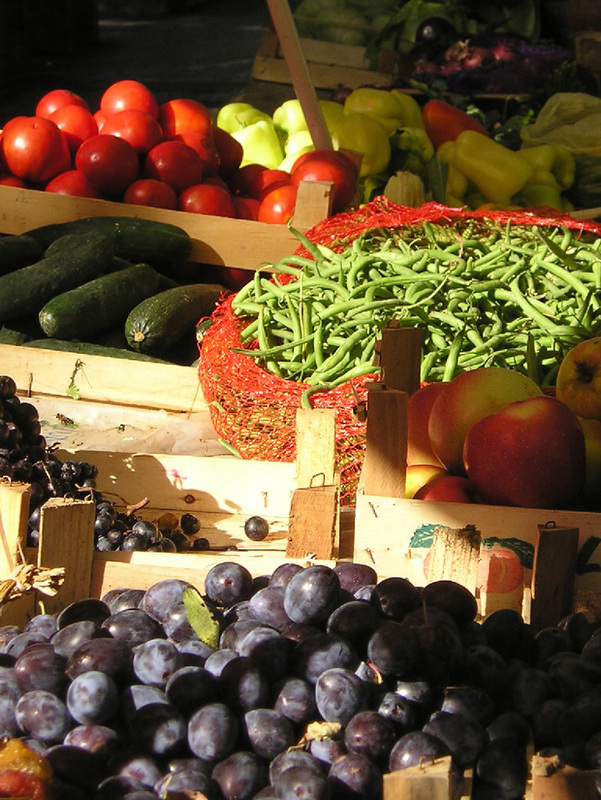 Maremma Food Shire – Braccagni,organized for the first time this year, this promises to be an interesting yearly event about the products of the Maremma. Sagra del tartufo bianco e del fungo porcino (dedicated to white truffle and porcini mushrooms) in San Miniato, near Pisa – one of the most popular – late September. What tourist season is September? The first week of September is usually still considered high-season. But most hotels, vacation rentals etc. will consider Septemer mid-season. This means that travelling in September you can get great weather, lower prices, smaller crowds and a more authentic experience of life in Italy. Moreover, you might be able to get some nice last minute deals because the tourist demand decreases. 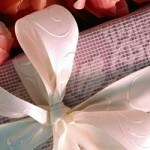 Planning to get married in Tuscany? September is a popular month for weddings. It is still warm enough to have an outdoor wedding ceremony and reception. If you plan on getting married in Tuscany in September, you need to start planning at least 9 months in advance, possibly a full year, because wedding venues book up early. 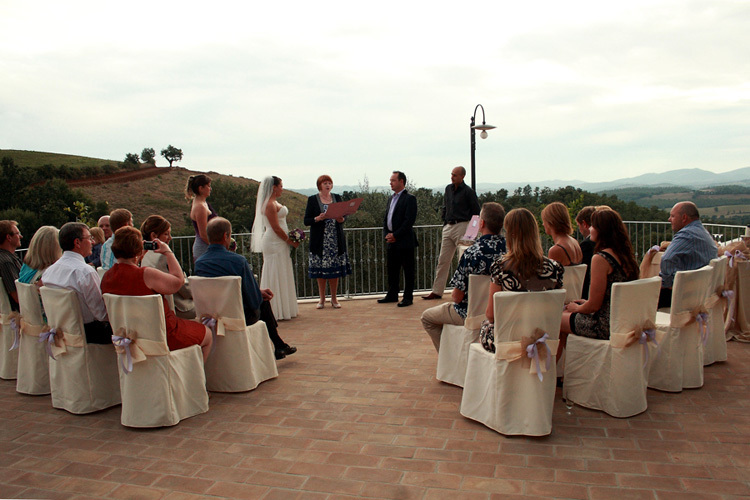 If you need help planning your September wedding in Tuscany, we recommend you get in touch with Boutique Events. 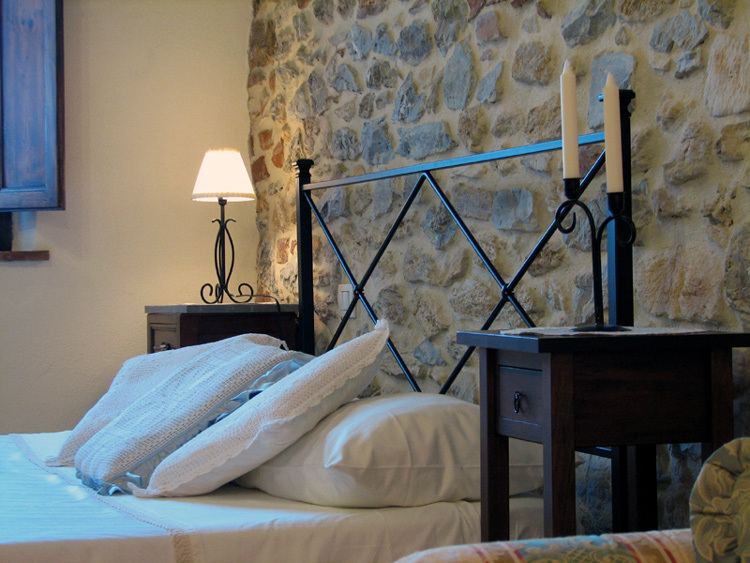 Looking for accommodation in Tuscany? Maybe for your honeymoon? Look no further: check out our vacation house in Tuscany between Siena and the coast of the Maremma. 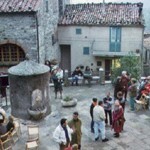 Ideal base to explore southern Tuscany and a great deal! Top reviews available online! 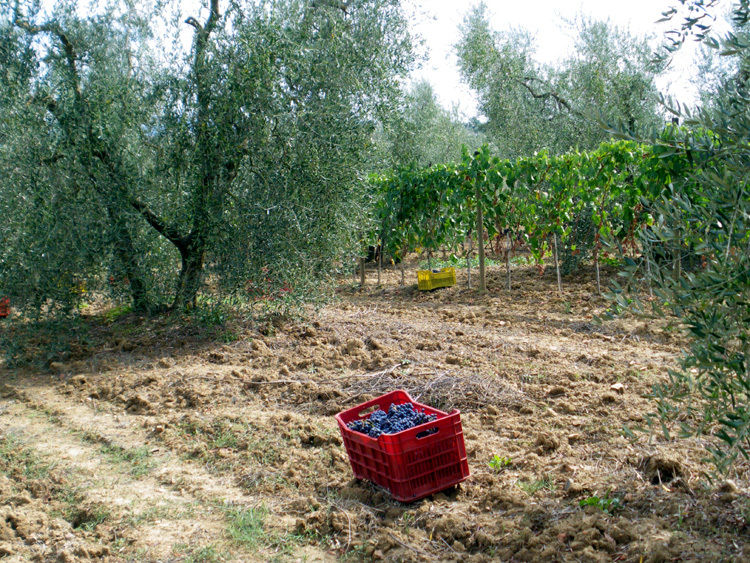 La Vendemmia: a family business! Gloria, another excellent blog. We are planning our trip for next year and because my husband is a teacher…we will be looking at Mid-June to Mid-August as our timeframe. What 2-3 weeks would you recommend based on weather, festivals and seasonal fruits and vegetables? I would recommend June and July. It is true that you will get one of the first heat wave that happens always either at the end of June or at the beginning of July, but the country is still “working”. In August everything stops, except for tourist things, like restaurants, museums etc. But cities are deserted etc. In terms of festivals and fruit and vegetables it’s the same. What a great post! I leave for Tuscany in 10 days (I’ll be there from 10/6-15) and I wonder what I might expect at that time. What a wonderful blog! Your writing is witty and oh so enjoyable! You are a wealth of information and I am so happy to have discovered your blog. My husband, daughter, son-in-law, and myself are going to be in Tuscany the last week of September and the first week of October. Two glorious weeks! Our villa is on the Tuscany/Umbria border. 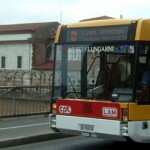 Is that a convenient location to discover the beauty of Tuscany? Would it be better to be near Siena versus Pietralunga? We have until tomorrow to decide between two villas. One near Trequanda, the other near Pietaralunga. Any suggestions? Hi Elizabeth, thank you for your kinds words! I’m flattered! Actually Trequanda is a lovely place. And the area is stunning. I would go with that! It is near Montepulciano and the Valdorcia and yet convenient to the highway that connects Siena and Perugia. You will love the area. I happened on your delightful blog as I was searching for September weather in Tuscany! My husband & I are currently living in a little village in the Rocky Mountains & have only been to the UK as far as European travels. I heard from a friend that Tuscany was the most romantic place she’s been with her husband & I was influenced as my husband & I are planning our 35th wedding anniversary adventure!. Though my husband had indicated that he wanted an English speaking country he is excited about us going Tuscany for the first 2 weeks in September. We have Rick Steve’s book & are just beginning to make plans now that we have decided where & when! Any advice? 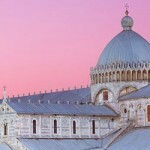 Useful tips for planning your next vacation in Tuscany: it’s a collection of informative posts. Expecting the unexpected, a survival guide to Tuscany! I would like to know what I need to wear if I am going out for dinner . We are going to be on a tour Bus for 10 days starting in September 27/12 . In terms of style, whatever you like. In terms of “warmth”, I would recommend long pants, and a long-sleeved shirt and a light jacket or sweater. What a great coincidence! I did an internet search to see what Tuscany was like in September, and your blog was at the top of the search list. We’re hoping to come back to Casina di Rosa soon, likely in the fall of this year or the next. Such a fabulous little place that you have. Karen and I felt privileged to have been able to share your village and meet the wonderful people that live there. Hope all is well with you, Marcel and the little guy. Hi Greg! How nice! Thanks for leaving a comment! We would love to have you back! Give our love to Karen! We will be staying in Bedonia for a week in October. Would you please recommend some small villages of interest within two hours drive? If you would email me the information, I would be very grateful. Thanks so much. Hi Chris, if you have to go back to Pisa to drop the car off, then train from Pisa. If you can drop it off in Cecina, that is fine too. But train, no driving to Rome (it is a nightmare to navigate the center). Sorry I don’t know Cecina at all. I am sure there is parking near the station at least. I’m going to pisa and florence at the start of september. I would love to do a day trip to a vineyard but I csnnot drive. Are there any such organised day trips that you would reccommend. I know that there are some wine tours organized in Montecarlo, near Lucca, on Sunday morning. You could ask the tourist information office there. Otherwise, you could contact a guide or an agency such as Arianna and Friends and see what they offer. Your blog is amazing and so informative! I love reading it! Myself and my fiance are planning on getting married in Tuscany next September or early October. I know it’s impossible to predict the weather – but I want to book a time when there is the best chance of having a good day weather-wise. We hope to have the reception outside – do you think on average, that late Sept/early Oct is often too chilly for this – or alternatively is mid Sept (in recent years) likely to be too hot?! What would you recommend is the best time of the month to book – to increase the chances of it being dry and warm (not sweltering)?! The end of September usually has some lovely evenings, and it might not be too cool to have a reception outdoors. Anyway, a light shawl would be enough to keep you comfortable, because it is still warm enough. Mid September is rarely too hot. It will probably be. But still very pleasant, if the weather is “typical” for the season. Hi Elizabeth, everything will be open. 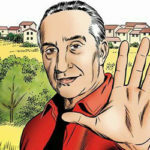 Unfortunately I cannot help you with accommodation because I have never been to Montevarchi myself, sorry! 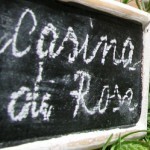 I keep my suggestions for the guests of my own “Casina” (http://www.casinadirosa.it)! LOL Have fun! I just got back from Rome and Sorrento, it was wonderful. First time in Italy and wondering way my grandfather did not stay. I am planning my next trip next Sept or October to Tuscany. I would like to do a food and wine tour. Any suggestion on were to start would be greatly appreciated. Hi Gloria…. enjoyed your blog very much! I was searching for what to pack for my trip to Tuscany in September and your blog came up… really great information, thank you. This is my first visit and we will be based in Florence, but our plan is to rent two bikes and do as much exploring outside the city as possible. The top things we’d like to do is 1. sulphur spring baths 2. medieval village 3. a beach trip 4. (hopefully) see some village event (like you mentioned the grape harvests, or maybe even a wedding! 🙂 How awesome would THAT be?! Any helpful advice to two first time visitors to your beautiful country would be most welcome! enjoyed your informative article. we will be in tuscany mid september. we plan to drive from Pisa to La Presura. do you know if it is an easy and pleasant drive. are there stops along the way. a lot about the co-op in Imprenata. do you know much about it? I have never heard of either, I am sorry! But if they are near Florence in the Chianti area you can either drive along the FI-PI-LI four-lane highway or choose the more panoramic but certainly slower minor roads in Chianti. I’ve enjoyed reading your blog! My husband and I are travelling on 1st of September to Italy for 16 days. We will be visiting Rome, Florence, Tuscany, Venice, Lake Como, and Cinque Terre. We would like to know if swimming season is still on in any of the cities we are going too? If yes, is it warm enough to swim? Any helpful advice to two first time visitors to your beautiful country would be most welcome! Full summer. Still very hot, and perfect for swimming. Hello – I loved your blog. Very informative. 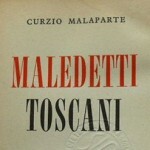 I was researching and planning a trip to Tuscany in Mid September. Being a photographer myself I was researching what kind of landscape will I witnessing in midseptember. Usually we see the fairytale type green or yellow fields of wheat in the golden light. But I am reading that in mid-september the fields will all be ploughed and I will find only earth and dirt. But as a photographer yourself, I thought will that look nice in photos. So I write to seek your suggestion and advice. Will mid-september be too late to see the beautiful ladscape. If it is please advice when should I visit to see the fields all yellow with wheat and sunflowers? June is when you see the wheat and hay bales and sun flowers.